INDIANAPOLIS (Saturday, May 20, 2017) – Ed Carpenter once again displayed his prowess on the Indianapolis Motor Speedway oval, leading first-day qualifying for the 101st Indianapolis 500 presented by PennGrade Motor Oil. The team owner/driver posted a four-lap qualifying run at 230.468 mph in the No. 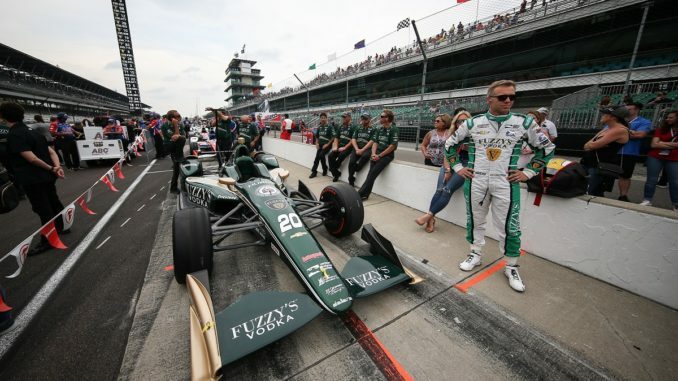 20 Fuzzy’s Vodka Ed Carpenter Racing Chevrolet to lead 31 drivers who completed attempts. Carpenter and the next eight fastest qualifiers from today advance to Sunday’s Fast Nine Shootout that will determine the Verizon P1 Award pole sitter for the epic race on May 28. 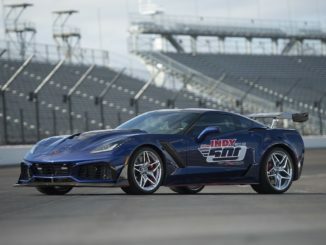 Joining Carpenter in the Fast Nine Shootout will be Takuma Sato, Scott Dixon, JR Hildebrand, reigning Indy 500 winner Alexander Rossi, Will Power, Fernando Alonso, Tony Kanaan and Marco Andretti. 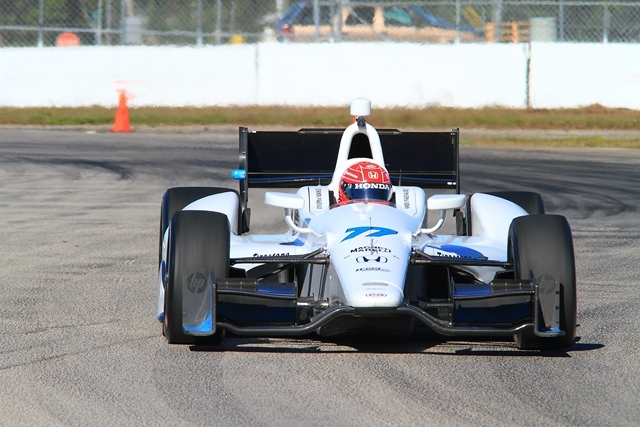 Sato benefited from being the last of six Andretti Autosport drivers to qualify, taking his teammates’ input and putting four laps together at an average speed of 230.382 mph in the No. 26 Andretti Autosport Honda. The 40-year-old veteran’s run missed out on top honors by less than six-hundredths of a second. Dixon, the 2008 Indy 500 winner, was eighth in line to qualify, putting together four laps at 230.333 mph despite sunshine bathing the track. Later attempts were run under cloudy skies. In his first oval-track qualifying attempt, two-time Formula One champion Alonso qualified seventh in the No. 29 McLaren-Honda-Andretti Honda. Qualifying was delayed five hours after heavy rain saturated the 2.5-mile oval at the time the session was slated to begin. Rookie Ed Jones was among the early qualifiers after qualifying started and impressed with a four-lap run at 229.717 mph in the No. 18 Boy Scouts of America Honda for Dale Coyne Racing. Jones remained in the fast nine until Hildebrand, the next-to-last qualifier, completed a run at 230.205 mph in the No. 21 Preferred Freezer Service Chevrolet that put the Ed Carpenter Racing driver in the fourth spot. Jones slipped to 10th on today’s qualifying chart, meaning he will be the final driver to make an attempt in Group 1 qualifying Sunday to determine race starting positions 10-33. All times from first-day qualifying are erased and drivers in Group 1 will each make a single attempt in reverse order of where they qualified today. That sessions runs from 2:45-4:45 p.m. ET. The Fast Nine Shootout follows from 5-5:45 p.m. Also with times from first-day qualifying erased, drivers will each make a four-lap attempt in the reverse order of where they finished today to decide the pole winner. 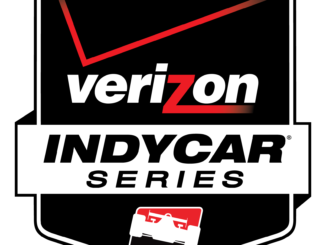 Verizon IndyCar Series championship points are also on the line in qualifying, ranging from 42 to the pole winner down to one point for the 33rd-fastest qualifier. Four-time Indy car champion Sebastien Bourdais was involved in the lone incident of qualifying when he lost control of his No. 18 GEICO Honda, which made hard contact with the SAFER Barrier in Turn 2. Bourdais had completed the fastest two laps of qualifying until the incident on the third lap. The Dale Coyne Racing driver was transported to IU Health Methodist Hospital where, according to Dr. Geoffrey Billows, INDYCAR medical director, he was diagnosed with multiple fractures to his pelvis and a fracture to his right hip. “Sebastien is in good hands here at IU Methodist Hospital with the staff and now we just wait for him to recover,” said team owner Dale Coyne. 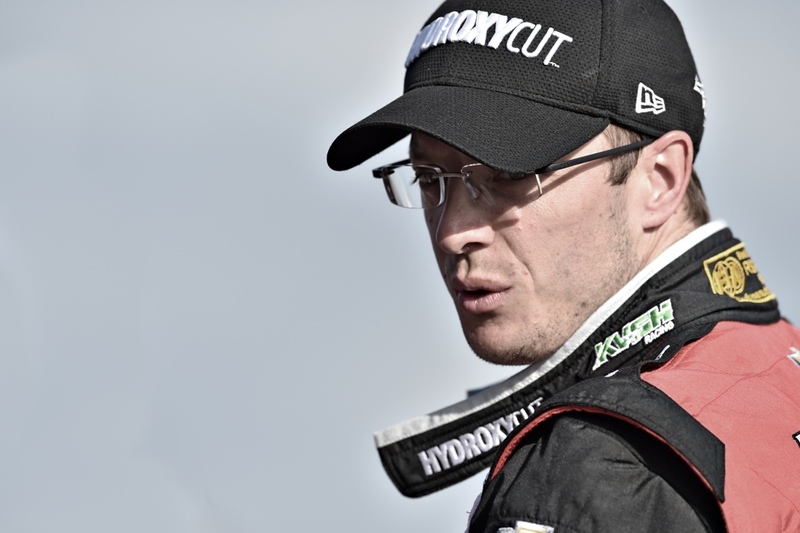 Bourdais was scheduled to undergo surgery on the pelvis tonight. INDYCAR will release updates on Bourdais’ condition when they become available. Second-day qualifying airs from 2:30-4 p.m. ET Sunday on WatchESPN and from 4-6 p.m.on ABC. The 101st Indianapolis 500 airs live at 11 a.m. May 28 on ABC and the Advance Auto Parts INDYCAR Radio Network.